Opposites Attract. Digitally Printed Magnets. Magnetic graphics are convenient and efficient applications well suited for vehicles, promotions, and novelty items. Magnet applications are often an add-on item for existing clients—enabling print providers to broaden their product offerings and add new revenue. To produce custom magnets, print providers have the option to print directly to magnetic media, print to media that is then magnetized, or opt for magnetic-receptive media that doesn’t stick to metal, rather that magnets stick to it. Above: A Xerox Color 800i helped Eri, PA-based McCarty Printing complete work for the committee to elect Joe Schember—custom car magnets with Mohawk Magnetic High Gloss polypropylene white energy 17 mil. Based in Erie, PA, McCarty Printing began as a commercial printer in 1916. As a privately held and locally owned corporation, the company has been under the same family ownership since 1954. The business started with eight employees operating in a 5,000 square foot workspace. Through constant investment in the latest technology, McCarty Printing now operates as an advanced production plant that produces high-quality printing for catalogs, brochures, flyers, stationery, and advertising promotions. Serving customers regionally, nationally, and internationally, the company offers offset and digital printing capabilities from its 50,000 square foot facility. With 75 employees, McCarty Printing utilizes a number of digital options to complement its offset business while providing customers with high quality, low-to-medium volume printed pieces. 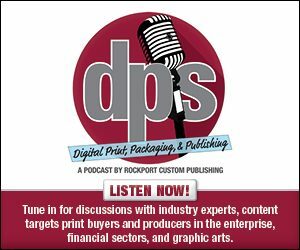 “McCarty Printing can take a customer’s idea and design, proof, print, finish, and ship locally, nationally, or internationally,” says Mike Arnold, VP/sales, McCarty Printing. Its sister company, Walco Label, produces safety labels and bar codes for manufacturing, safe-ink labels for food and beverage, shelf and sales labels for retail and promotion, and stickers and pressure-sensitive tapes for bottles, boxes, and cans. In 2002, McCarty Printing started using digital print technology to address industry trends for short-run, full-color products. It utilized a Xerox Document Center 12. Soon after, the company turned over its print production to digital for mailers, letters, envelopes, brochures, synthetic, dimensional, magnetic, pressure sensitive, and embedded applications. With this technology available in house, it expanded into several industries including advertising, medical, manufacturing, food and beverage, chemical, education, and banking. McCarty Printing outsourced its magnet work prior to investing in digital due to low demands. The company continued outsourcing its magnet applications until 2017 when a client requested custom car magnets as an add-on product. While this offering is still a small percentage of the company’s overall work, it allows the print provider to tap into a new revenue stream and leverage its investment in digital printing. The print provider produces magnet applications on the Xerox Color 800i Press with Xerox dry toner. The press handles production color printing with the ability to pre-configure specific application settings. It produces 80 pages per minute and handles sizes up to 13×19.2 inches with a maximum 55 gsm weight. Currently, the print provider sources all of its magnet materials from the Mohawk Magnetic line, which offers unmagnetized media for ease of printing that are charged post-print with a variety of magnetizing equipment. The magnetic media line includes white stock options like high gloss, matte, semi-gloss, and paper in weights from 13 to 17 mil. In addition to the Xerox Color 800i, the company uses several other digital printing presses including the Ricoh Pro C9110, Xerox Color C75 with EFI Fiery RIP, and Xerox Versant 180P. With its digital lineup, McCarty Printing experiences all the benefits of digital printing including short runs and fast turnarounds. “Low runs are not outrageously expensive, we can print and deliver jobs in a short period of time, and we can add variable data at no additional cost,” comments Arnold. Its magnet offering expanded to advertisements, envelope stuffers, calendars signage, and appointment reminders. McCarty Printing’s bindery department offers a range of finishing capabilities including die cutting, scoring, perforating, folding, gluing, and padding. Blind embossing, foil stamping, foil embossing, debossing, shrink wrap, and custom labeling are also available in house. An internal mailing department enables McCarty Printing to provide complete services for clients’ mailing needs. By integrating mailing with print production, the company offers convenience, quality control, and cost efficiency for all of its projects. In February 2017, McCarty Printing produced its first magnet job. The committee to elect Joe Schember, a local candidate running for mayor, approached the print provider for mailing campaign advertisements and soon after inquired about high-quality car magnets that matched the campaign’s brand standards. At the time, the company didn’t offer any type of magnet offering and quickly looked to its digital equipment for the task. “The quantities fit digital run lengths and we believed our digital printing technology was capable of producing them,” says Arnold. Because it was the first time printing with magnet materials, McCarty Printing partnered with Mohawk to keep production local and to test sample sheets prior to accepting the project. “The magnet needed to be strong enough to stay on a car and stand up to the elements for a period of time,” comments Arnold. A hand magnetizer is a metal roller, somewhat like a paint roller, that emits high-intensity magnetic fields. It runs over the magnet’s backside to activate the material’s magnetic properties. “When it travels through the press, it isn’t magnetized yet or it would never travel through the machine without adhering to the metal parts,” explains Arnold. With Mohawk’s magnetic media and the Xerox Color 800i Press, McCarty Printing produced 1,200 car magnets in two sizes—5×5 and 12×12 inches. For finishing, the magnets were guillotine trimmed with the 45-inch Polar Automatic Cutter and installed by end users. The company experienced a small learning curve during the printing, finishing, and magnetizing of the magnets, but received the help and support needed from Mohawk and its in-house staff. As its first exposure to magnet materials, McCarty Printing successfully completed the order in one week. “We gained some valuable experience on equipment capabilities and learned how we can offer this type of service for our clients,” offers Arnold. The client won the election and was pleased with the quick turnaround and high-quality car magnets produced. According to Arnold, the committee was happy with how well the materials held up outdoors, especially without any post-print UV coating. “It was cool to see our work around the city on car bumpers during the election season, and we like to think that this form of mobile advertising helped the candidate pull off the victory,” he offers. Since its first magnet project, McCarty Printing has successfully completed several digitally printed magnet jobs including two more orders for the mayor. “It was an opportunity to keep the work produced locally, which was a goal of the client,” says Arnold.